Brenda Handy, LPN, is a shining example of one who continually strives for excellence. She started her career as a respiratory therapist but quickly changed to nursing for the stability and opportunity it offered. And although her mother, aunt and five siblings are all nurses, she never seriously considered it. After only six months as a nurse, Brenda knew it was more than just a job; it was her calling. In 2004, Brenda’s husband suddenly passed away, leaving her a single mother to three children. That was the turning point when she decided to continue her education. While working full time and raising her children, she earned a diploma in medical billing and coding and then pursued an education in business to learn the back-office operations to combine with her years of clinical experience. Step by step, Brenda earned her AS, BS and then finally, her MBA. 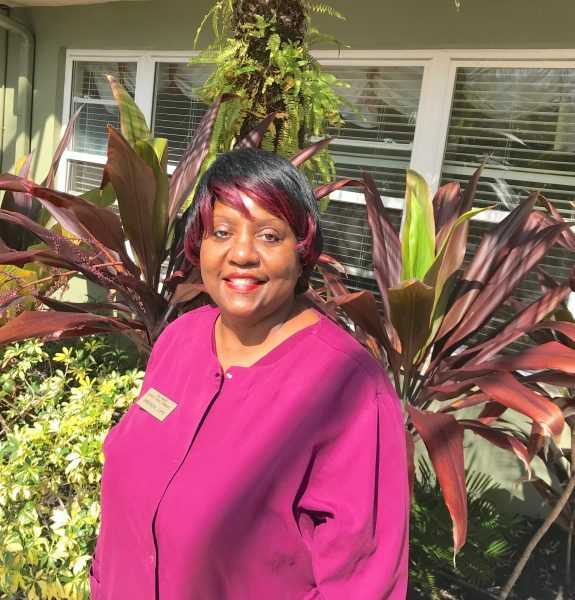 Brenda joined the Oak Manor family in August 2018, and at age 55, she is following a longtime dream of going back to school to become a Registered Nurse. She begins the program at Galen College of Nursing in April. Brenda is helping her daughter raise her three children, yet still, she says now is the time! “It has to be mind over matter, and you have to make it matter,” Brenda said.